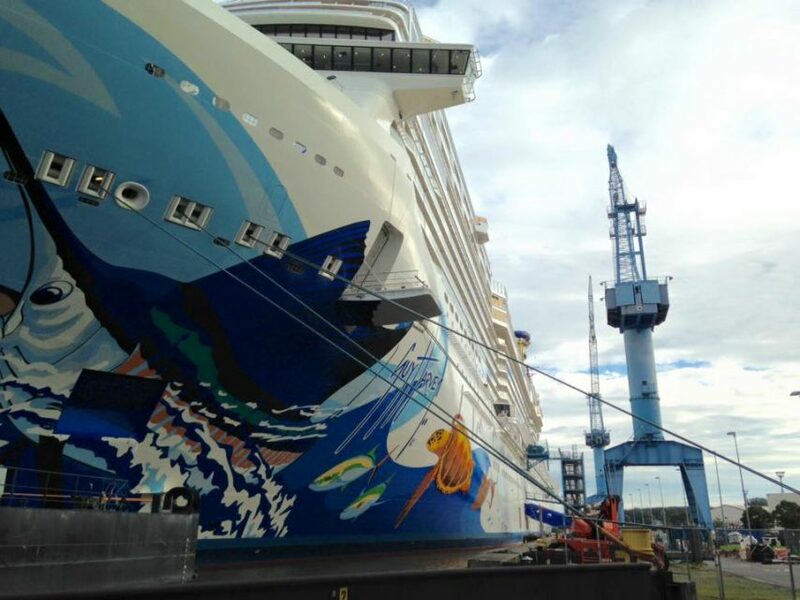 During a hardhat tour of Norwegian Escape at the Meyer Werft shipyard in a cool and partly cloudy Papenburg, Germany, Norwegian Cruise Line president, Andy Stuart, was thinking sunny Caribbean. Asked what he likes best about Norwegian Escape, Stuart pointed to new water features — of which there are plenty — including a cave-like grotto in the adults-only Spice H20 sunning area and large hot tubs that cantilever off the upper level of the forward sun deck. “There are many places to cool off on a warm Caribbean day,” Stuart said. Launching his first ship as president of the line, Stuart led a small group of journalists on a walk-through as the 4,200-passenger ship was being prepared to leave the shipyard for sea trails. 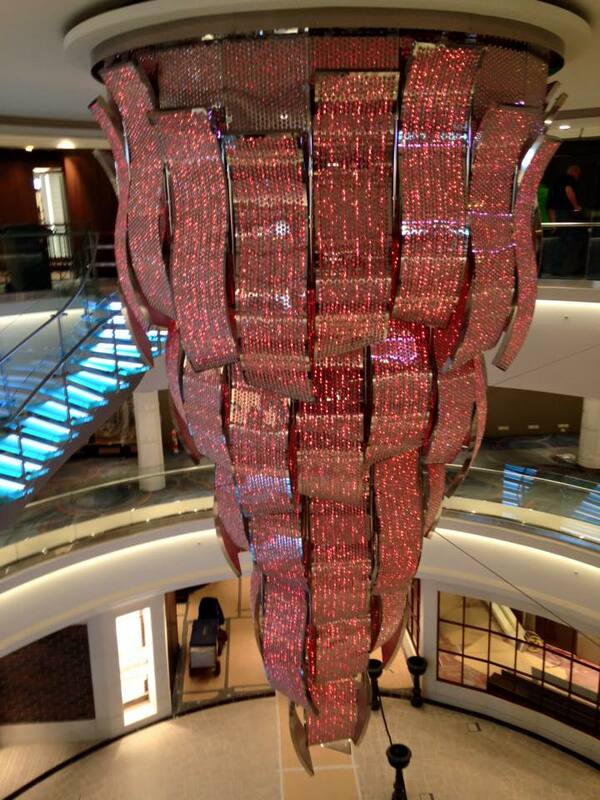 The ship is set to debut on Caribbean cruises from Miami in November. 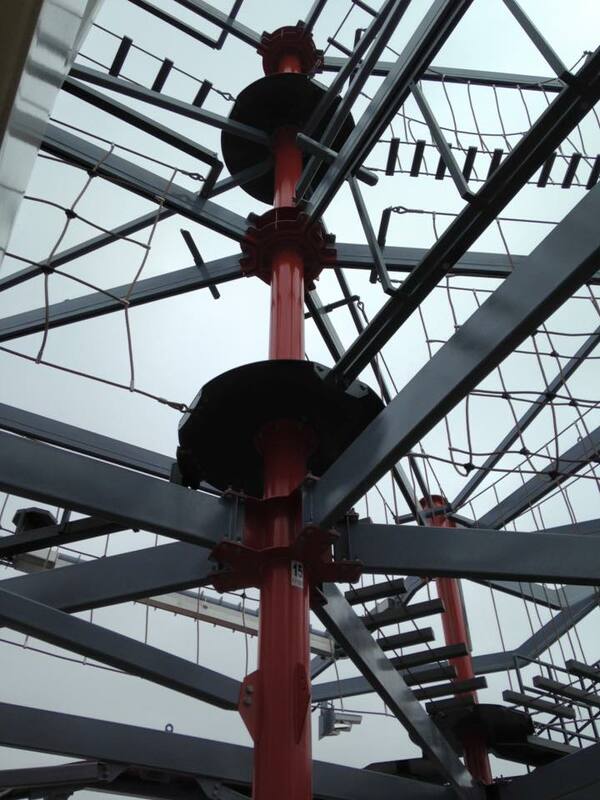 We got a glimpse at new “wow” features including the colorful sea creatures designed by Guy Harvey on the hull and the expanded three-story Ropes Course (which looks like a Rube Goldberg contraption) up on top. But another “wow” is the redesigned and more expansive pool deck. Norwegian Escape is wider than predecessors Norwegian Breakaway and Norwegian Getaway — and it shows. There were also subtle signs that under Norwegian Cruise Line Holdings Ltd., the line plans to be a slightly upgraded product. 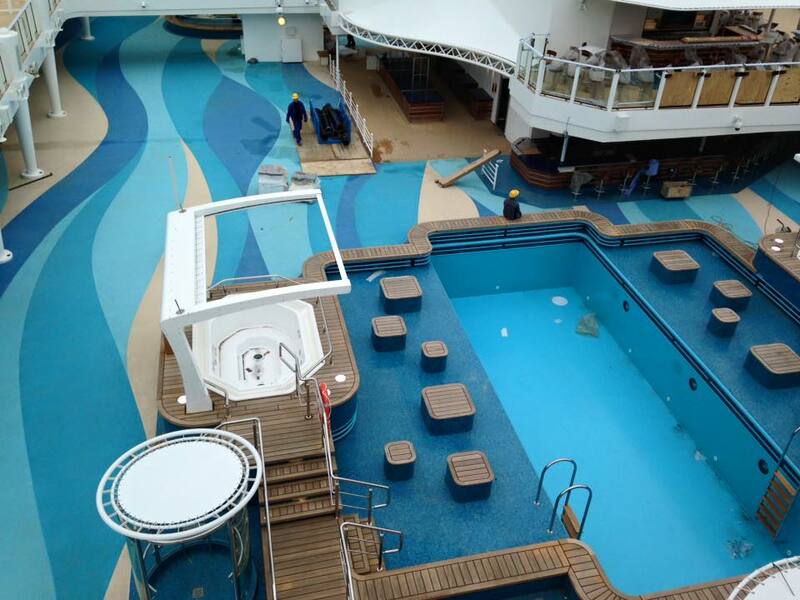 For example, note the very good imitation of teak flooring on Norwegian Escape‘s sun decks. Staterooms have also undergone a classy redo. “There are lots of tweaks that will enhance the experience,” Stuart said. The Haven suites complex for upper-tier guests has been expanded to two levels and has a richer vibe, but there are also elegant areas open to the rest of us including The Cellars wine bar (operated with the Michael Mondavi family). The ship will have a first-at-sea Jimmy Buffett’s Margaritaville and 5 O’Clock Somewhere Bar, but even as we toured unfurnished spaces with wires and cables still dangling, we could predict our preferred hangout spot will be The District Brew House, with its brick walls and greenhouse-like windows. Pour us a cold one. While at Meyer Werft, Stuart also pushed a button that started a plasma torch cutting a piece of steel for Norwegian Escape‘s sister ship, Norwegian Bliss, set to debut in spring 2017. Details of Norwegian Bliss were not revealed, but Bernard Meyer, managing director of Meyer Werft, gave a little tease. “It will be a surprise for the market again,” he said.